The dissolution of the Jedi Order has reopened alternative paths of communing with the Force; no longer bound by strict rules and regulations, the Mystic interacts with the Force in ways that might seem foreign to the Jedi of old. Some have merged their politics with the Force while others imbue artifacts with the power of the Living Force through alchemy. 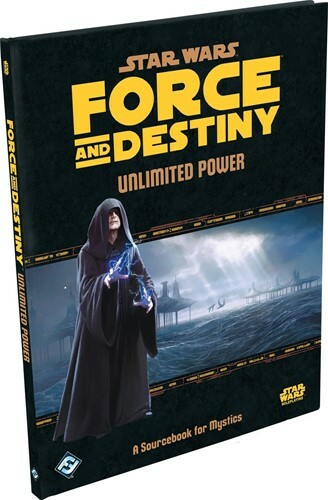 Unlimited Power is a sourcebook for Mystic characters in the Star Wars Force and Destiny roleplaying game, expanding their options from the core rulebook by introducing three new specializations, new species, new equipment, and more.